CITY OF SAN FERNANDO -- Lawyer Larry Gadon is leading a signature campaign that aims to restore the name of Ninoy Aquino International Airport back to Manila International Airport or MIA. 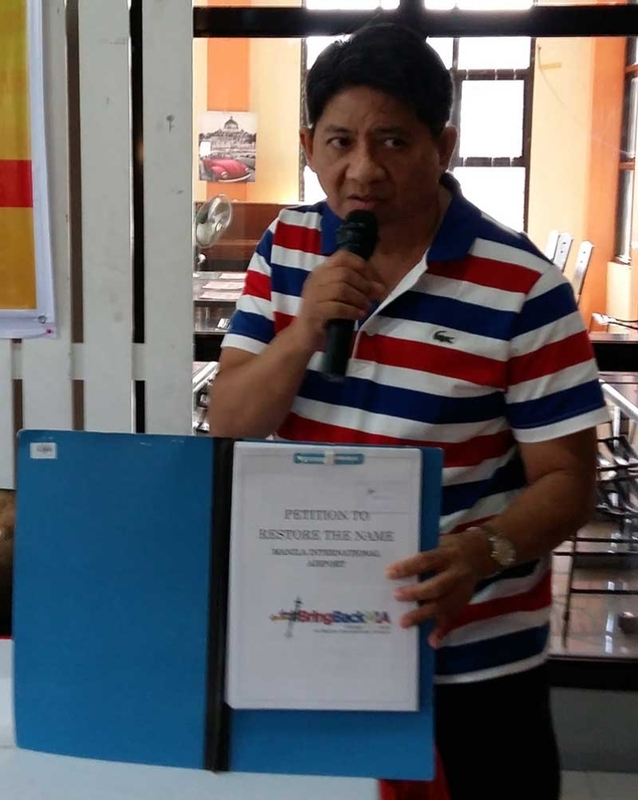 Dubbed “#BringBackMIA,” Gadon, during a forum with Pampanga media on Wednesday, May 30, at Don Facundo Restaurant here, said that the petition addressed to President Rodrigo Duterte and Congress aims to restore MIA’s rightful name. “When the Manila airport was turned over by the Americans to the Philippine government, in 1948, after the completion of the present runways in 1961, it was named the Manila International Airport, and carried that name ever since. But in 1987, during the term of Cory Aquino, MIA was renamed after her late husband. This was done well in advance of the 10-year prescription period for naming public sites after dead personalities,” he noted. Gadon added that MIA is located in the country’s capital, and restoring its name back will just be right and proper. “It’s just right and proper since it is located in Metro Manila. Another thing is Ninoy Aquino never became a president and has not actually been officially or formally declared a hero. Again, it’s ahead of the prescription period according to law,” he said. Gadon shared that thousands have already inked their signatures in the online petition which could found at change.org.